Belize is a unique Central American nation with a Caribbean shoreline to the east and dense jungle on the west. It also hosts hundreds of cayes (islands) and the second largest coral reef system in the world. Not to mention, it has a rich history of Mayan civilizations, colonial rule, and finally independence in 1981. All of this combines into an intriguing breeding ground for adventure. Whether you are in Belize for a week or a month like I was, there are a number of ways to get out of your comfort zone, learn new skills, immerse yourself in the culture, and to just relax on one of the cayes or in the jungle in between adventures. The Great Blue hole is a UNESCO World Heritage Site and a Belize National Monument. It is a 1000-foot-wide, 400-foot-deep sunken cave in the middle of the ocean off the coast of Belize City. 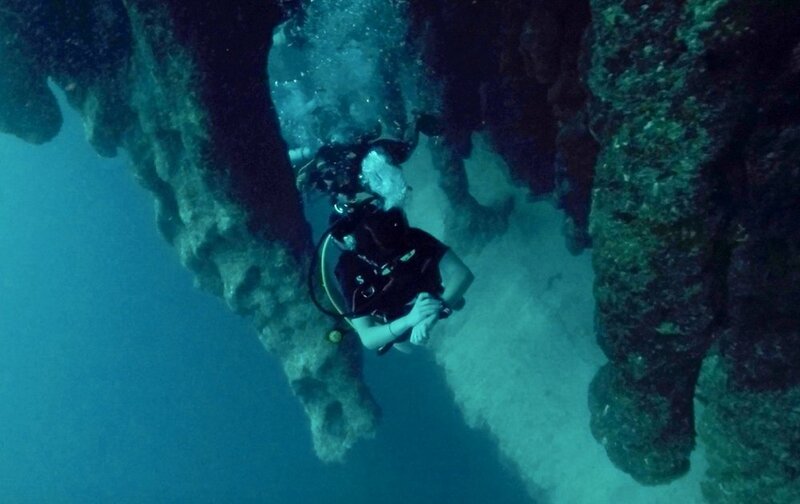 An advanced diver certification is highly recommended to dive The Great Blue Hole! I personally dove with Aqua Scuba Belize ($225/person) from Caye Caulker Island. However, I DO NOT recommend them because the operation felt very unsafe and disorganized! 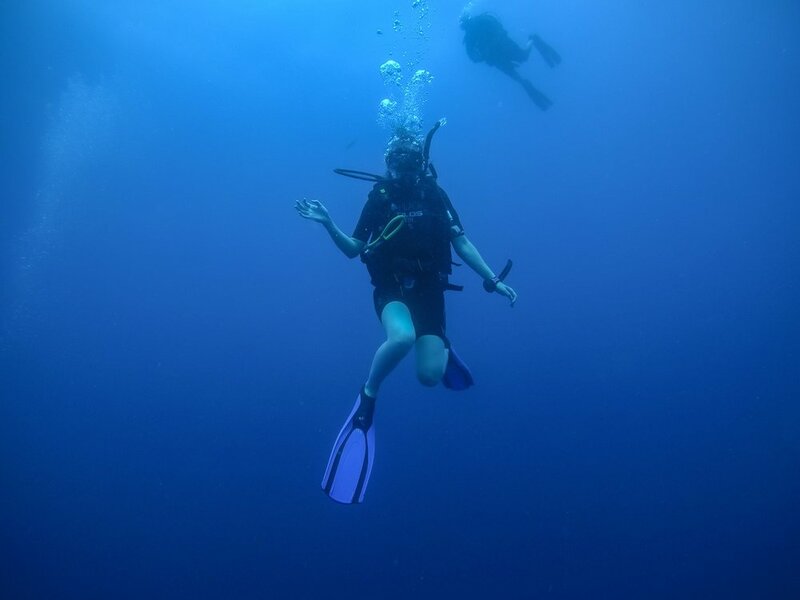 Instead, I recommend diving with Belize Diving Services ($275) or Frenchie’s Diving ($310). The Blue Hole itself was incredibly stunning, flaunting giant 50-ft stalactites and various large marine life like reef sharks. The tour includes a 3-tank dive, with dives at The Great Blue Hole, Half Moon Caye, and the Aquarium. The journey is 2.5 hours by boat each way and I highly recommend taking motion sickness medication because it’s a bumpy ride. If you want more time in the water, with tons more dives, I would recommend doing a liveaboard dive trip in Belize. You’ll sleep on the boat and go diving up to 3 times a day! I also recommend building in some buffer days on Caye Caulker for this excursion, because Great Blue Hole dives only run when they have a certain number of divers to fill the boat. Caye Caulker is a 45-minute boat ride from Belize City and costs $10-$15 USD (one-way) via Ocean Ferry Belize or San Pedro Express Water Taxi. WWOOF is an agricultural work exchange network that connects travelers with organic farms around the world. Every farm is different but typically visitors work 20hr/week in exchange for room and board. Leaving plenty of time to explore the region you work in. 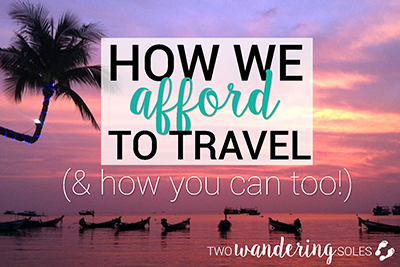 It is a great way to travel on a tight budget, while also learning about sustainable agriculture and getting a homestay experience! It costs $12 for an annual Belize membership to WWOOF Latin America, which gives you access to various host farms across Belize. I worked at The Green Valley Project for two weeks during my stay in Belize and found the experience incredibly rewarding. The Green Valley Project is a quaint 10-acre botanical garden about 2 hours south of Belize City, with no shortage of giant lizards or tropical birds and trees. I learned a lot about using invasive weeds for mulching and how to use my own human waste as compost for fertilizer. The Toucan Ridge Ecology and Education Society (T.R.E.E.S) is a grassroots ecological conservation center in the foothills of the Maya Mountains. It is a great place to escape the city and learn about the native flora and fauna in the jungles of Belize. It is an ecotourism hub with educational opportunities perfect for individual travelers or groups. They offer reasonably priced jungle bungalow accommodations and camping options. Due to its central location in Belize, it’s the perfect base for people who want to do day trips and tours around the country. They also offer workshops like bat surveying techniques and bird banding certification, and WWOOF opportunities on their permaculture farm for those interested in free food and accommodation in exchange for a couple hours of farm work. Billy Barquedier is a lovely national park sitting on 1600 acres of preserved tropical evergreens and Santa Rosa metasedimentary rocks. The park features the beautiful Billy Barquedier Waterfall, which is a 15-20 minute hike from the park entrance. Definitely bring a bathing suit so you can swim in the falls and plunge pools! There is also primitive camping available for those looking to stay overnight. The park waterfall entrance can be found at Mile 17 of the Hummingbird Highway via bus or rental car. Be prepared to pay $2-5 BZ at the entrance per person. Not to be confused with the Great Blue Hole in the middle of the ocean, St. Herman’s Blue Hole National Park is inside a unique 575-acre forest thriving with wildlife and geological features. The two main attractions are the St. Herman’s Cave and The Blue Hole which are connected by an underground stream. Visitors have the option to explore about 200 feet into the cave on foot without a guide, or explore further by raft with a guide and discover ancient Mayan artifacts. Either way bring or rent a headlamp at the entrance so you can witness some impressive stalactites and stalagmites. It was one of the best off-the-beaten-path things to do in Belize. The sapphire blue hole was formed by the collapse of a limestone cave creating a natural pool which is great for a refreshing swim. The park is located 12 miles Southeast of Belmopan on the Hummingbird Highway (a few miles from Billy Barquedier National Park). The Belize Audubon Society provides more info about the history and getting there. I paid $8 BZ for the park entrance fee. Placencia is an emerald colored peninsula with 16 miles of beaches on the Caribbean coast of Southern Belize. The southern part of the peninsula is covered in beach resorts, guesthouses, hostels, bars, restaurants, and scuba and snorkel shops. There are a handful or snorkel/dive companies in Placencia that take you to nearby cayes, like Laughing Bird Caye National Park, the Silk Cayes, South Water Caye and Glover’s Reef. I did 3 local reef dives with Go Sea Tours for $140 USD, and thought the company ran a good operation, and the dives all flaunted beautiful corals. There is also an option to dive or snorkel with whale sharks from April to June in the nearby Gladden Spit Marine Reserve (the best time is 4-5 days after a full-moon). 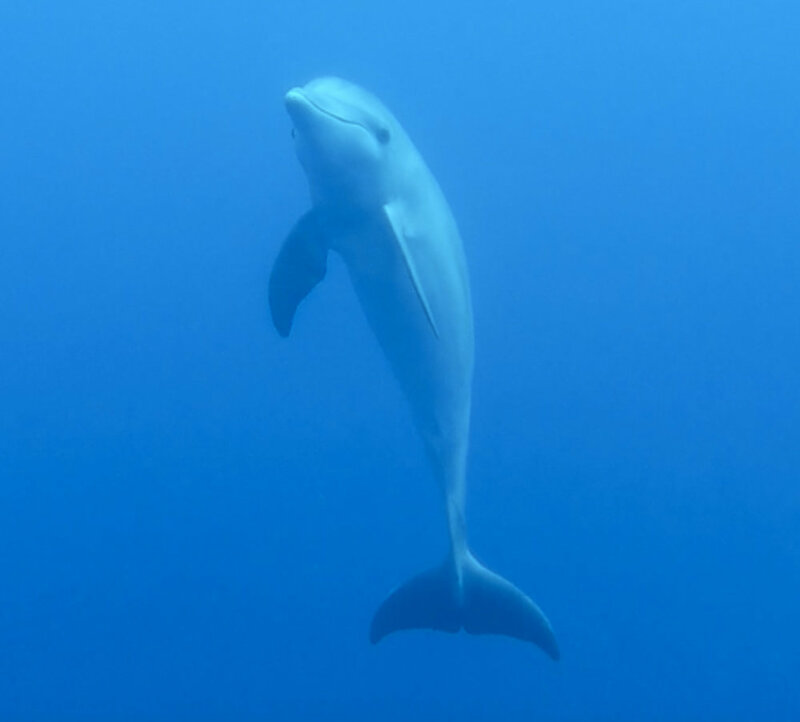 I personally paid $365 for a 2-tank whale shark dive with Splash Dive Center, and unfortunately didn’t get to see any whale sharks (but I did see a dolphin). However, people saw them the day before and after my dives (it’s just the luck of the draw). There are cheaper companies that run these tours, but they book fast so you need to make reservations several days in advance to secure your spot. You can get to Placencia by water taxi or by land. I personally took a water taxi from Independence since I was coming from Punta Gorda (which saves a long detour by road). The ATM cave is an extremely unique archaeological site that includes Mayan skeletons, ceramics and stoneware. The cave can be easily visited via a guided tour from San Ignacio. I went with and highly recommend Explore Inland Tours ($88/person). 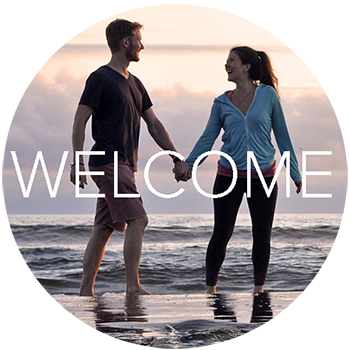 They are a family owned tour company with knowledgeable guides. The ATM cave tour is a mind-blowing experience with a combination of spelunking, a jungle walk, and a unique lesson in Mayan history and culture. The cave itself is impressive with its various chambers, tunnels and speleothem. It is especially unique though because it is home to 1000-year-old skeletons and sacrificial pottery remains, the most famous being “The Crystal Maiden” who is thought to be an adolescent sacrifice victim. This is a somewhat strenuous excursion, so don’t forget to come prepared in hiking gear and bring a change of dry clothes and shoes and lots of water. The tour begins with a 45-minute jungle walk, with three river crossings before you enter the cave entrance that requires you to swim into the cave. Once you enter the cave you must be either barefoot or in socks. It’s also important to note that you are no longer allowed to take any pictures, therefore you can’t bring any sort of camera or phone into the ATM cave. You’ll just have to rely on mental pictures of the experience. Cotton Tree Lodge is not cheap, but it is an extremely unique eco-resort experience off the beaten path! The resort is located on 100 acres of jungle on the Moho River. Enjoy bird and monkey watching, kayaking, swimming, a medicinal plants tour, a jungle survival experience, a chocolate tour, yoga, massages, and a farm-to table dining experience. The rates range from $152/night to $572/night. There are 3 different rate structures for the 8 rooms/cabanas they have onsite. I personally stayed in the cabana boat, which was a once in a lifetime experience being rocked to sleep by the river’s current. Getting there can be a long journey because it is a 45-minute-drive from Punta Gorda (the nearest town). Here is some more information about international and domestic flights and busses. I hope by now I’ve convinced you that there is no shortage of adventure to be had in Belize and you are already googling some of the activities I’ve mentioned above. Now let’s cover some logistics. In addition to the places I mentioned above: WWOOF host farm (The Green Valley Project), T.R.E.E.S jungle bungalows, and the remote Cotton Tree lodge, I highly recommend using hostels or guesthouses for your accommodation around Belize. I typically book through Hostelworld or Airbnb. Please keep in mind that with the exception of Cotton Tree lodge, all of my accommodations were budget options, they are not luxurious, but I would stay in each of them again. The Belize Dollar is the official currency in Belize, however the US Dollar (paper, not coins) is widely used and accepted throughout the country. The exchange rate that is honored by local merchants is $1 USD= $2 BZD. 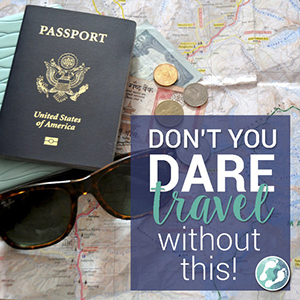 Don’t forget to travel with small bills though so you can pay in cash for small expenses and reserve your cards for any large transactions. International ATMs can be easily found in any major city or town, and Visa is the most commonly accepted debit or credit card at businesses. English is the official language of Belize, even though most locals also speak Spanish, Creole, or Mayan languages. Internet cafes and internet connections in accommodations are common, however if you plan to go off the beaten path or if you are traveling solo, I always recommend getting a local sim card. You can easily purchase a Belize sim card and prepaid phone card at the airport and refill your phone card at most convenient stores if you run out of data or minutes. Just make sure your phone is unlocked by your service provider before your trip. Traveling in Belize is easy by road, since there are four major highways that connect most cities in the country and you can get almost anywhere by car within 3 hours or less. I personally got around via the local bus system for the month I was there. Here is the Belize Bus Schedule. If you want to visit the Cayes or Placencia, boats are a good option, here are the ferry and water taxi timetables. Roam Belize also offers more information about shuttles, taxis and car rentals for getting around Belize. Overall, Belize is a beautiful country that stands out for the kindness of locals, the wildlife and caves hidden in the jungles, and the beauty of the reefs off the Caribbean coast. Going to Belize soon? Save this on Pinterest! 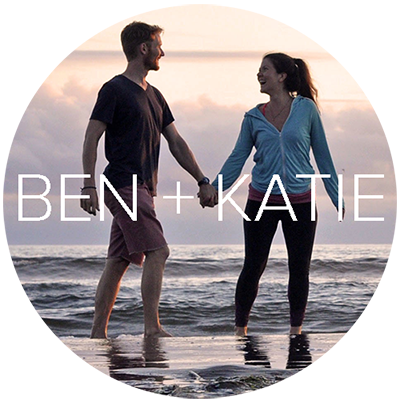 Anna is the nomadic storyteller behind Spin the Globe Project, an ethical adventure travel and lifestyle blog. 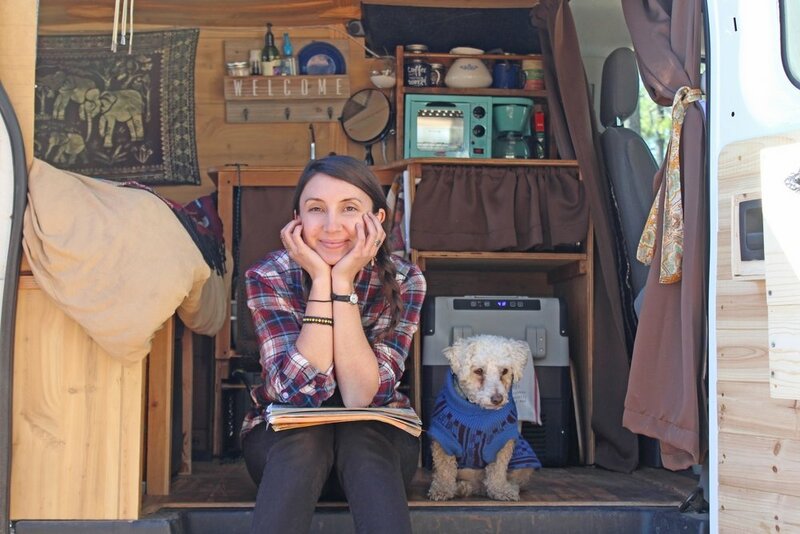 After her early retirement from the international development sector, she decided to build an online business and travel full-time in her converted van. You can usually find her wandering to waterfalls and glacial lakes with her dog Cagney. Check out Spin the Globe Project and follow her journey on Instagram (@spintheglobeproject) and YouTube.